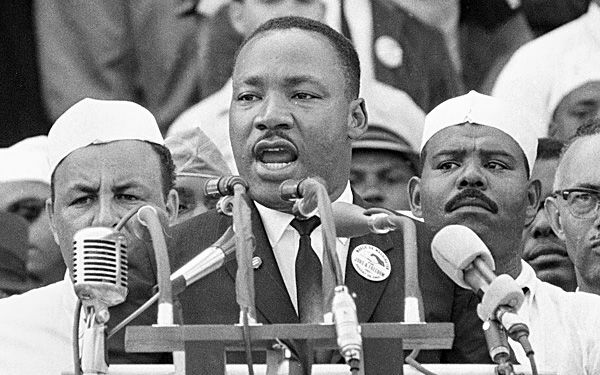 The March on Washington happened 51 years ago. Those who were there remember feeling like this march would bring about change. Do you think it led to enough change? Why or why not? The March on Washington was massive and nonviolent. People of all ages and races traveled across the country to attend. Why was this approach effective? Why was the diversity of participants important? Would this approach be as effective today? Why or why not? After the March on Washington, marchers met with President John F. Kennedy and asked him to improve the civil rights legislation he was submitting to Congress. Within the next two years, President Lyndon B. Johnson signed both the Civil Rights Act and the Voting Rights Act. How do you think the march influenced the timing and content of each piece of legislation? Do you think these laws would have passed if the march hadn’t been such a success? Read about the deep connection between the memorial and those who worked tirelessly to see that it was built. Learn what it took to make this historic legislation law. Learn more about the speakers, venue, and key issues that led to the event.